Fobazi Ettarh (MLS, Rutgers) is Student Success Librarian at California State University (Dominguez Hills) She is also an ALA 2017 Emerging Leader. and designer of the game Killing Me Softly, which was created to show the physical and mental impacts of microaggressions and acculturative stress. Well simply put, it is the idea that libraries as institutions are inherently good. It assumes that some or all core aspects of the profession are beyond critique, and it, in turn, underpins many librarians’ sense of identity and emotional investment in the profession. See also, occupational mythology, coined by Everett C. Hughes as “the social and social-psychological arrangements and devices by which men make their work tolerable or even glorious to themselves and others.”(1958, p. 48) For more reading about myths perpetuated in librarianship, please read this. Ettarh expounds on the vocational awe/white supremacy link during her 2017 Pushing the Margins Symposium keynote presentation, which you can view below. -“Beyond reproach”: libraries are traditionally perceived and promoted as havens of quiet and refuge; in fact, many libraries strive to become official “safe spaces” on their campuses or in their communities. Moreover, while we do celebrate modern librarian images, de facto practices of dress, activities, and even our April Fool’s spoofs show that we derive great comfort from having others believe in traditional stereotypes (even into the far, far, future). How it plays out: an abused library employee belays (or doesn’t) report the abuse because they can’t believe the abuse is happening in “a profession like ours.” In my research, this delay of or decision to not report workplace abuse was contextualized with disbelief that the abuse was happening, whom was meting out the maltreatment, disillusion with the profession, and subsequent self-blame about the abuse and its development. In essence, library-as-refuge tropes increase the likelihood that an abused library employee will not be believed – their abuse complaint(s) a) disrupt users’ (including campus administration) perceptions of the library as a place of retreat, quiet, and serenity and/or b) reduce the stereotype of the librarian as a person who is in control of the quiet and serenity of the library (See Also, shushing). -“Work-life balance”: Librarians should always be ready to work (more) lest their commitment to the profession be questioned. Long hours and busy-ness are badges of honor while issues of under-compensation, underemployment, and abuse are glossed over by the overvalued idea that librarianship is a calling. In the low-morale experience, you hear it in statements like “I believe I’m doing good work (often conceptualized broadly as “helping people”), so I will endure [protracted exposure to workplace abuse or negligence] [for the sake of the people I’m helping].” Participants in my study recalled verbal or emotional abuse in the context of being told that they weren’t “committed enough” when they refused overload projects, rejected working longer hours, or tried to take time off for illness or even earned vacation time. Additionally, participants wrestled with their own notions of professional commitment and sometimes acquiesced to abuse because of guilt (See Also, Martyrdom). -“Lack of institutional advocacy and support”: When a library employee reports workplace abuse, they may be met with responses about the library-as-place trope, that they invited the abuse due to (stereotypical or real) personality profiles, or because the ombudsman has oversimplified the work of the librarian (e.g., “But it’s always so quiet when I come in there!” or, “Did you shush someone one too many times?” or “How could you all not be getting along? All you all do is check out books and sign people onto computers!”). In other words, the rejection is: do not cancel the dream/ideal that libraries are sacred spaces of retreat and safety or that, outside of that aforementioned strict noise monitoring, librarians are docile people who are incapable of bullying and related acts. My study reveals that the low-morale experience is in part incubated by negligent institutional administrators who undervalue or misunderstand the role of librarians on their campuses. 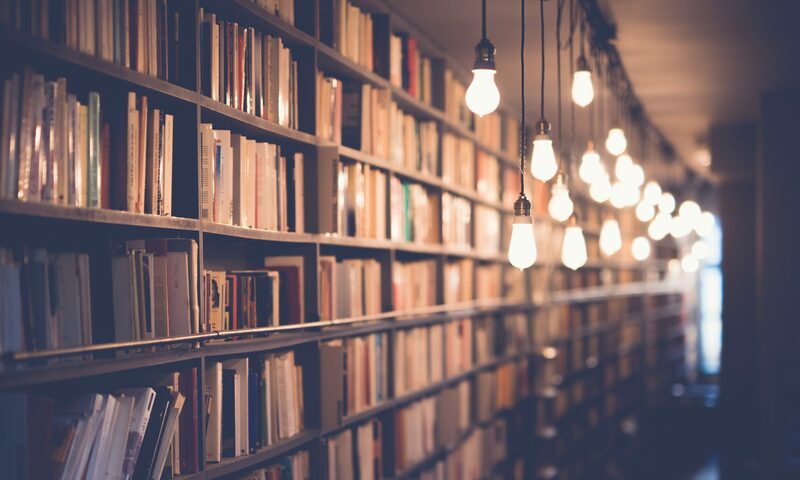 They often rebuke reports of abuse and send affected employees back into harmful situations, regardless of the status of their relationship with library administrators, but especially if the relationship with the library leader is historically contentious. Considering the original context of vocational awe (white supremacy/institutional oppression) – and mapping vocational awe markers to low morale – begs the question of how low morale affects librarians of color (I’m working on it!). Work cannot and should not be everything to librarians, because toxic leaders will abuse their dedication. These dedicated librarians will in due course burn out … Work-focused lives seem to have in some cases unintentionally assisted toxic leaders with their exploitative behaviors (p. 20). SHOUT OUT to Ms. Ettarh for her important, applicable, and very relevant work. Hughes, E.C. (1958). Men and their work. Glencoe: The Free Press. Ortega, A. C. (2017). Academic libraries and toxic leadership. Cambridge, UK: Chandos Publishing.